Built to Sporting Arms and Ammunition Manufacturers' Institute (SAAMI) standards, these economy rounds feature cases made from high-strength, aircraft-grade aluminum alloy similar to the type used to manufacture anti-tank rounds. Since the case is the most expensive component of any cartridge, aluminum cases reduce cost without reducing performance, reducing the cost of your practice ammo. An ideal option for high-volume training exercises, this affordable .40 Smith & Wesson ammo is loaded with 165 grain total metal jacket (TMJ) projectiles. 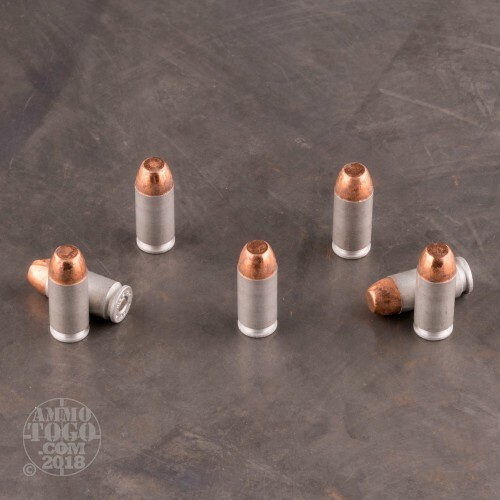 TMJ bullets are designed with a copper jacket that completely surrounds the lead core. Unlike standard FMJs which leave a small amount of exposed lead at the base, the TMJ design helps minimize lead exposure, making them excellent for indoor shooting. 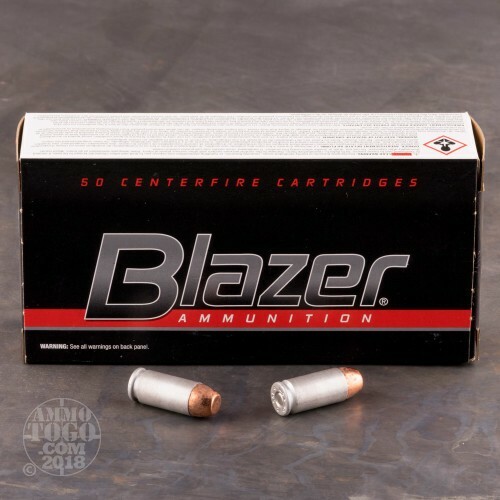 Blazer ammunition is manufactured at the CCI facility in Lewiston, Idaho. 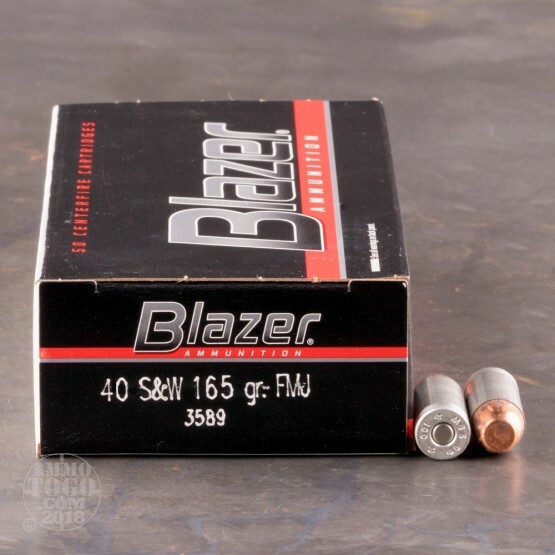 Delivering the ballistic uniformity, reliability and power of premium self-defense ammunition, Blazer rounds produce a muzzle velocity of 1100 feet per second and 443 foot pounds of muzzle energy. These new production rounds feature reliable CCI primers and come packed in 50-round boxes with 20 boxes per case. I put about 500 rounds through my XD 40, not one jam or problem with these rounds! Excellent customer service and quick delivery! Will buy much more very soon!